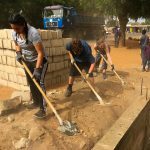 Dear Families – Welcome to the homepage for the 2019 Webb School Senegal Program. Walking Tree is thrilled to be partnering with The Webb School! Please read through the details about your program below and peruse our Resource Center, which contains lots of helpful information about our organization, tuition, safety, insurance, and more. 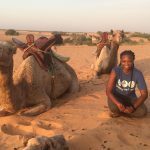 We hope you will join us on the adventure of a lifetime in Senegal! Our admissions team makes the payment process simple, offering multiple payment options and easy monthly payment plans. The ocean breeze of Senegal is lucky. 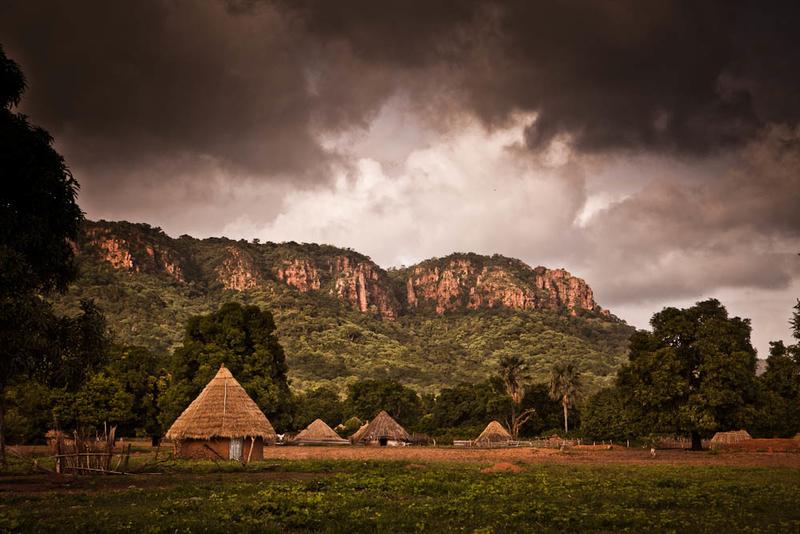 It carries the animated French, Wolof and Pulaar languages from its people, the rhythmic beats of West Africa’s vibrant music scene, the solemn calls to prayer from towering minarets, and the exotic aroma of local cuisine. The momentum builds in the country’s nerve center of Dakar and then spills out through beachside palms to French colonial islands, pink lakes, thriving game parks, and colorful communities. Senegal is a wonderful option for travelers eager to experience the best of Africa in the only country in the region with an uninterrupted history of peaceful democratic transition. 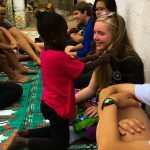 Prepare yourself for the experience of a lifetime as you work on vital community service projects, improve your French, and explore a place few will ever be lucky enough to visit. Service Adventures combine local homestays, adventure travel, and meaningful service projects. Students will be truly immersed in our host communities allowing them the time to reflect on their complex and important role as global citizens. Check out some of the possible featured experiences of your coming adventure! Each customized itinerary is unique, but these are just a few of the activities which may be available during your program. Go on Safari to view elephants, giraffes, hippos, and more! We work hard to create engaging, educational, and truly immersive itineraries for our travelers. 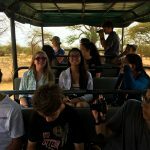 However, we also know that travel can be unpredictable, so we always design our experiences to be flexible enough to allow for adjustments based on group interests, unexpected opportunities, and any weather or safety concerns that may arise during your program. Should changes to the itinerary occur, we will notify travelers and families as quickly as possible. 2 USA - Thailand Sawatdee Ka! Welcome to Thailand! Arrive in Bangkok for a connecting flight to Chiang Mai. After some time to rest, we will have an introductory lecture on the role of religion in Thailand's culture, to help frame our perspectives before we begin to explore religious diversity in this culturally rich country! B,L,D Payap Dormitories Located on university campus, 2-3 students per room with shared bathrooms. 3 Chiang Mai Wake up bright and early and jump headfirst into Thai culture by visiting a traditional market, trying colorful and exotic fresh fruits and vegetables! As you walk through the market, you will quickly notice the strong presence of Buddhism, as we give alms to the monks clad in orange robes, and visit temples and spirit houses located throughout the city. We will finish the day with a visit to the ‘Silver Wat’ Buddhist temple, and dinner and shopping at the Saturday Market Walking Street. B,L,D Payap Dormitories Located on university campus, 2-3 students per room with shared bathrooms. 4 Chiang Mai Today we will experience the full spectrum of religious diversity in Thailand. In the morning, we can observe a rural Thai Church Service, followed by lunch at the church and a visit to the villager’s homes. 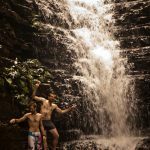 If we have the energy and the time, we will escape the mid-day heat by spending some time swimming at the Sticky Waterfalls or nearby natural springs. Dinner will be held at a professor’s home, where we will have the opportunity to observe Suebchadaa, an animist spirit ceremony. B,L,D Payap Dormitories Located on university campus, 2-3 students per room with shared bathrooms. 5 Chiang Mai A full day is ahead of us! We'll hike up Doi Suthep mountain, an important and distinct landmark in Thailand, tour Wat Phra That Temple and learn about the life of Budda, Buddhist traditions, and Thai culture. Our journey will continue up the winding mountain roads until we reach Baan Chang-Khian, a Hmong hilltribe village, where we will have the opportunity for a home stay. Here, we will learn about animism, the life of the people, and the development of the community. B,L,D Chang-Khian Homestay Located 1.5 hours outside of city, 2-4 students per house, simple and clean accommodations, shared bathroom. Students may sleep on traditional Thai sleeping mats. 6 Chiang Mai/Hmong Village We will spend the day in Baan Chang-Khian, visiting the local school, playing language exchange games, and helping in a community-based project. B,L,D Payap Dormitories Located on university campus, 2-3 students per room with shared bathrooms. 7 Chiang Mai Today the students will be exposed to yet another aspect of religion in Thailand. We will visit a local Islamic mosque and school and have a chance to talk with the students and teachers. In the afternoon, we will stop by a local market and the students will use their newly acquired Thai language to buy ingredients for dinner. Once back at Payap University, the students will enjoy a cooking class taught by the University’s Hotel Management faculty and students. B,L,D Payap Dormitories Located on university campus, 2-3 students per room with shared bathrooms. 8 Chiang Mai We will take a break from our normal activities and travel outside of the city to visit a sanctuary that rescues elephants from a variety of abusive and dangerous situations and rehabilitates them. Visitors will spend their day feeding, bathing and learning about these amazing animals that play such a powerful role in Thai tourism and culture. B,L,D Payap Dormitories Located on university campus, 2-3 students per room with shared bathrooms. 9 Chiang Mai/Sukhothai Goodbye to Chiang Mai! Today we will take an early morning bus to Sukhothai, the old capital of Thailand. We will spend the day biking around the city, learning about the birthplace of Thai art, architecture and language. Trips through rice paddies and wooded areas can even lead you to discover ruins in their untouched state! We will have downtime in the evening to relax and swim at the guesthouse. B,L,D Sukhothai Guesthouse Clean, centrally located 2-3 star accommodation with private bath, WiFi. 10 Sukhothai/Bangkok Today we’ll head to the big and bustling capital city of Bangkok. On our way, we will stop for lunch at Thammayut Buddhist Temple and take a guided tour of the temple area. (Thammayut is a new and controversial form of Buddhist religion). In the evening, we’ll have the chance to explore our neighborhood in Bangkok and do some last minute shopping. B,L,D Bangkok Guesthouse Comfortable guesthouse with modern amenities. 11 Bangkok Spend the day exploring Bangkok with a longtail boat ride through the small canals of Chao Phraya River, visit the Grand Palace and the famous religious temples of Wat Pho and Wat Arun. B,L,D Bangkok Guesthouse Comfortable guesthouse with modern amenities. 12 Bangkok/USA Say your farewells and get ready to return home. Hopefully this won’t be the last time you come visit Thailand! We're off to the U.S. Airline Your bed!